This little 3 miler, which I ran using the 3 minute run/30 second walk strategy I’m going to use Sunday, and my speed work on Tuesday were both GREAT workouts from a mental perspective, so I’m feeling really strong going into this weekend! I haven’t had the taper crazies and my body feels good, so as long as I don’t fall down and hurt myself (knock on wood!) 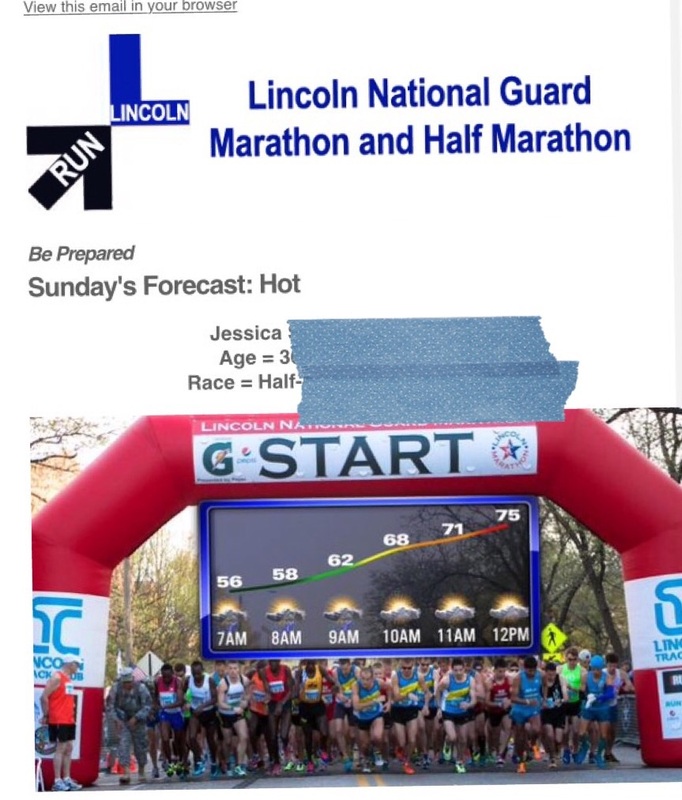 I should get to the starting line Sunday in great shape. If all goes well, I’ll be finishing closer to 10 so it shouldn’t be too bad. Thankfully, I was aware of this and factored it in to my packing list and race day gear plan like we talked about Tuesday. Still, I’m being a good girl and have already started hydrating with water and a little Nuun today so that I’m in good shape Sunday. 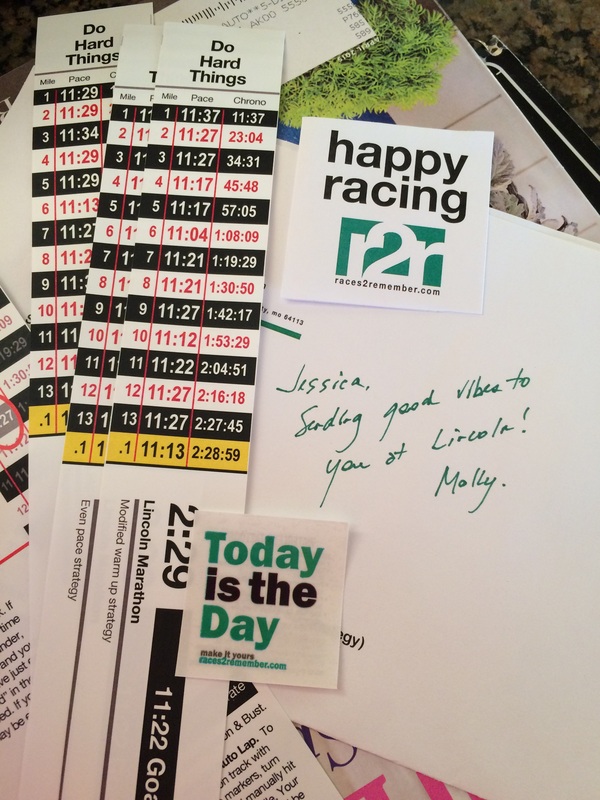 Back when we talked about running goals for the year, I said that one of my goals is to run a half marathon sub-2:30. I think my legs and my body definitely have that in them and this training cycle has gotten my mental game in better gear than ever before, so that’s definitely part of my goal for Sunday. My A goal, though, is really focused more on the mental aspect than the clock because that is what has really shaped my sense of success in races that have gone well and failure in those that have not gone so well. A) Run a race with good mental effort and DON’T GIVE UP AT THE END: I’m all about concrete goals, so what’s this going to really look like? Sticking with my intervals until mile 12 and then running in the last mile without intervals. I’ve done lots of “strong finish” workouts in this training cycle to really work on my mental game and should be able to do this. It’s time to put my money where my mouth is and finally prove it to myself. Aside from the fact that this is really the victory my running soul needs from this race, the other reason to have an effort based A goal rather than a time based A goal is the weather. As it is going to be warmer than expected, that may slow things down a bit but I should still be able to put out a steady effort and focusing on the effort rather than the clock will keep me from pushing too much and overdoing it (unlikely to be a problem anyway since it really isn’t going to be THAT hot). B) Cross the finish line in less than 2:30: I really want to do this sometime this year and it would be great to get it done now so I have a little less pressure should I decide to run Des Moines again in the fall (great race so I very well may and it would be fun to set some new goals there, since I already know the course!). All of the race calculators predict I have this time in me, based on most of my other races, so it’s time to cross this line! Pace bands at the ready for that sub-2:30 goal! 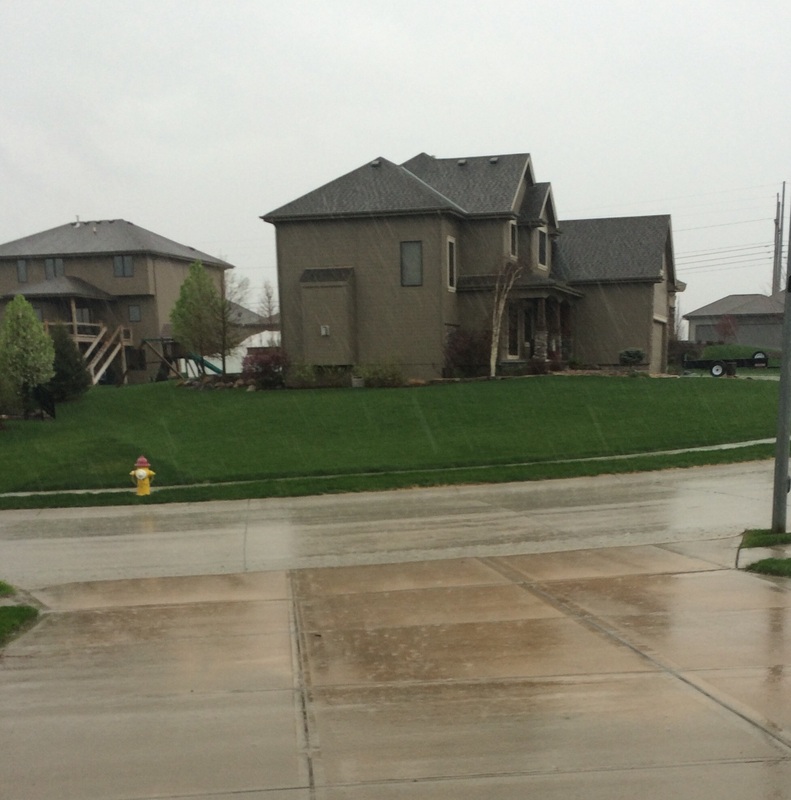 C) Set a new PR: Really, there is absolutely no reason, even with the weather, that I shouldn’t set a new PR Sunday. I feel so much stronger about my running right now than I did at this point before Des Moines, my current PR. 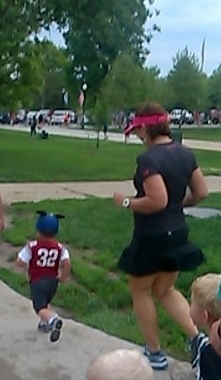 Barring injury or catastrophe, there’s no reason I shouldn’t cross the finish line under 2:32:48. I’m feeling good about these goals and this race. 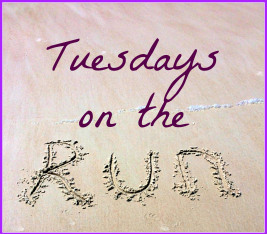 Next week’s Tuesdays on the Run topic is Best Race You’ve Ever Run and I have to think that’s a good omen, right? 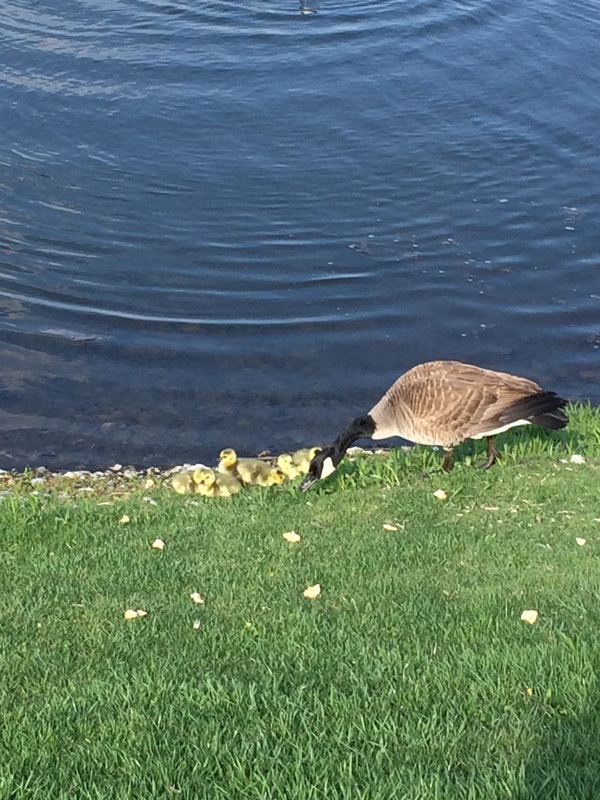 In Monday’s wrap-up post, I alluded to some personal upheaval last week and struggles with binge-eating for a while thereafter. I’ve struggled with how much to say because it isn’t just my story to tell, but thought I’d share at least some of the important lessons I learned in my ongoing struggles with binge-eating. Last week, a friend said something inappropriate to me, suggesting that I didn’t deserve to get pregnant when I did because “[I] wasn’t even taking care of [my]self then.” Rationally, I know that she can’t have meant that the way it sounded and it reflects her ongoing issues (as reflected by more things than I’ll say here for privacy reasons) more than it does anything about me, but it hurt. A lot. There is no standard by which I didn’t deserve to have my child, even if I did weigh around 280-ish pounds at the time I got pregnant, and suggesting otherwise is over the line. Admittedly, it’s a sensitive topic because I feel like a lot of overweight people get trapped thinking that we don’t deserve good things in our lives and the idea that someone else would actually say that out loud and reinforce that was a real anger trigger for me. I didn’t respond in the moment because there wasn’t a nice thing I could think of to say (although I could think of A LOT of not-nice things). I did a lot of mental talking to myself about how that was about her, not about me, but it didn’t help much. I still fell into this spiral of remembering how guilty and ashamed I felt as I dealt with complications of my pregnancy that were potentially related to my obesity, like placental insufficiency and gestational diabetes. 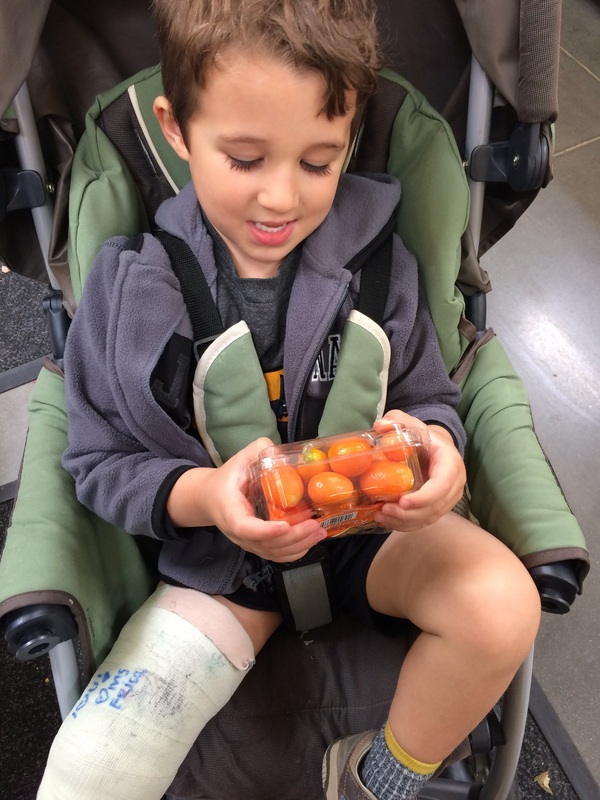 No amount of logically telling myself back then or now that those things happened for reasons other than obesity and that I took EXCELLENT care of myself when I was pregnant could really reassure that secret dark spot of doubt . I confess to you guys that I ate all three “emergency snack” granola bars in the car on the hour ride I had back home after this encounter. There’s victory in the fact that I did not stop at any fast food places or gas stations or anywhere else along the way to load up on more and totally go off the rails, although it felt like I was hanging on by my fingernails. I am getting better. How am I getting better? I’m getting better at asking for help. – As soon as I got home, I talked to my husband about the whole thing. He listened, he asked what he needed to do to help me stay out of the pantry. He rocks. – I paced my bedroom during this ranting to Darrell, to help me distract myself from the knowledge of all of the things I could be eating in the pantry. – I reminded myself that this is not about me. It’s about her and frankly, the part of me that was not consumed with trying to survive the binge or not thoroughly ticked off was and is worried about her. – I reached out. I reached out in ways I never do. I emailed my oldest and best friend and told her the whole thing. I reached out to the absolutely fabulous Lovely Ladies Losing It Facebook group and they were lifesavers, as a safe place to have some very hard and honest conversations about tough topics. The biggest thing, though, was reaching out to people who didn’t know about the binge eating. For the first time, when people asked on Thursday how I was doing (it took about 24 hours for the impending-binge feeling to fade away), I told them. I told them about the binge eating and that I was struggling that day. In so many ways, it can feel like admitting weakness to own up to mental illness of any kind and binge eating is a particularly lovely secret shame kind of thing. Even my husband didn’t know and we were married for years before I clued him in. Like so many mental illnesses, it’s something you hide. The people I shared with this week were a couple of professional women friends who are peers and good friends but also important mentors and role models for me in working-wife-motherhood and it felt so good and freeing to tell them a little more of my truth and my struggle. I loved their responses, including one who said: “You know you have better friends than that right?” and another who said “I’m so proud of you.” That last one makes me teary even now. Thanks to the advice of all of these lovely people and the support I’ve gotten and my own inner work (which I’ve got to start acknowledging more – I’m working hard here) , I’m doing better. I felt a little binge-hang over for a few days. I confess that I fell off the no-soda wagon and started drinking Coke Zero and Diet Dr. Pepper again for a few days, but I haven’t had any since Monday morning. I also fell back into the bad habit of stacking up multiple snacks at night (although the scale only showed a 0.2 gain yesterday at weigh in, happily) but I didn’t binge and I didn’t stop tracking or exercising. I’d toyed with the idea of not tracking this week before the Lincoln Half Marathon, to focus on eating healthy foods and as much as my body felt like it needed to fuel appropriately, but I’m not in that mindspace yet where I can trust myself to do that. That’s okay. I’ll eat all of my calories and still focus on increasing the carbs and maybe by Friday be in a place where I can let myself eat the calories I know I need to run a good race Sunday. I confess that while I needed the own the feelings I had by writing this letter, I also need to let myself have some space from the whole thing and didn’t want the confrontation of calling her instead as a distraction when I’m trying to get my brain in the right space for my race. 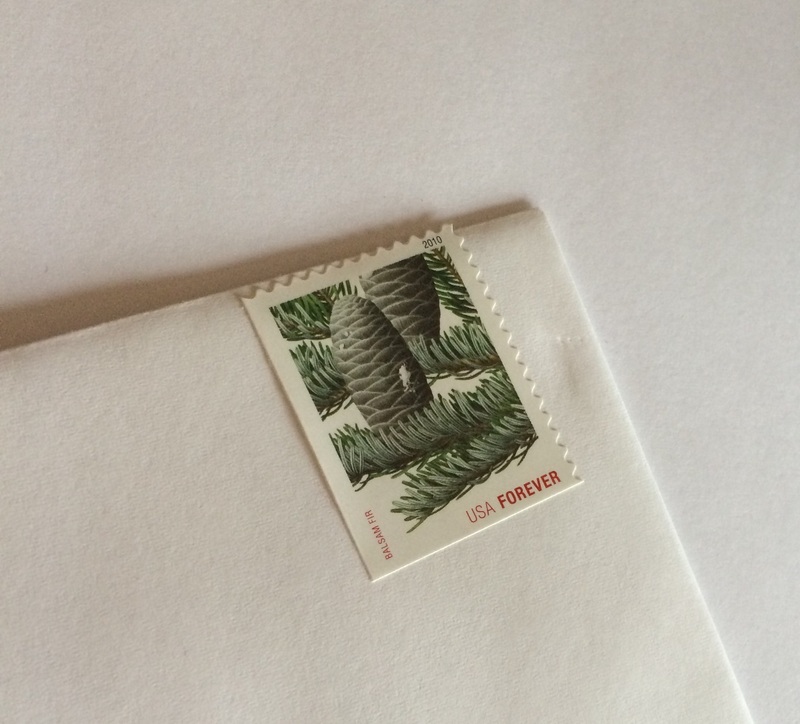 I also wrote a letter to her about this and owned my feelings. Being brave enough to “out” myself and my binge eating also made me realize it’s time to be brave enough to own my feelings. So many binge episodes in the past have been triggered by suppressing my feelings, feeling like I was being “oversensitive” or that I didn’t deserve to be upset or worse, that I deserved having that kind of thing said to me and that’s crap. It’s time that I learn to own my feelings. It’s okay to feel hurt. It’s okay to feel angry. It’s okay to feel like I deserve to be treated better. I’m allowed those things. We all are. 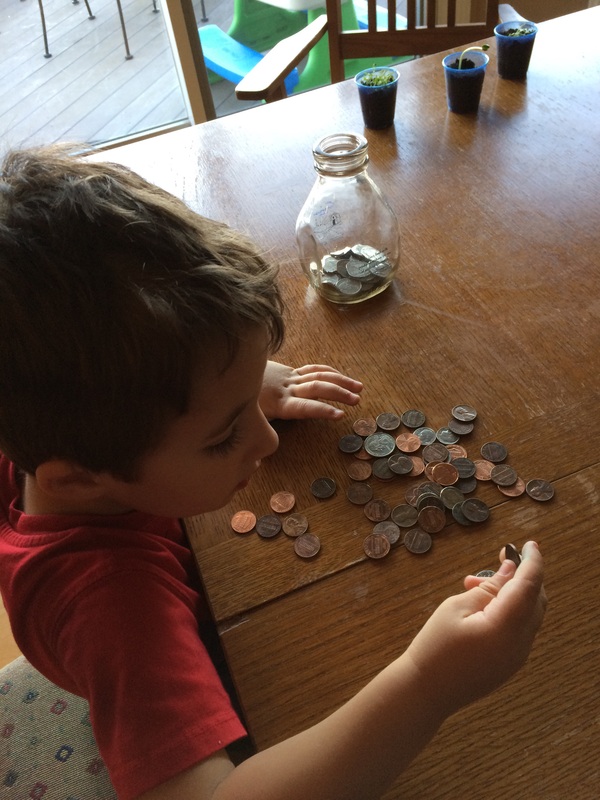 A family good deed this week: Sorting O’s piggy bank for quarters to give to the school food drive. I’m proud that this was O’s idea! I don’t pretend to know all there is to know about binge eating or how to survive it, but I feel like this was a definite step forward in my progress. This was the biggest binge-trigger period I’ve had in ages and the biggest I’ve ever resisted. I feel like my tool kit for dealing with this is getting better established. I accept that this will likely never go away, but I’m also starting to accept that I will win this battle more often than I lose it so long as I continue to reach out for help when I need it. I should be done before it gets up to the 80s, right? That means I need to think about wearing fewer layers than I have been for lots of my runs. Thus, as usual, perfect timing in a Tuesdays on the Run topic. Thanks as always to April, Patti and Erika for hosting! Be sure to check out everyone else in the link-up! 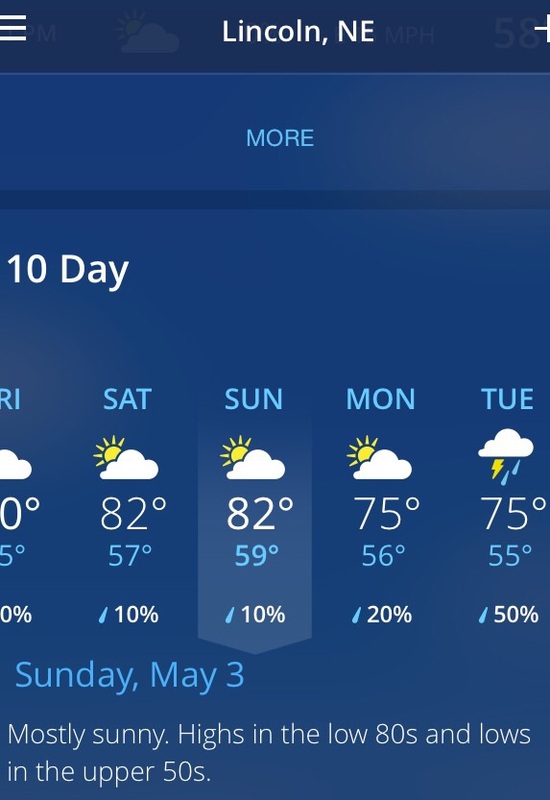 In Nebraska, warm weather is not really a given this time of year and the temperatures can fluctuate a lot so until June-July, I really have to keep a lot of layers on hand like arm sleeves, light jackets and shrugs. For this weekend’s race, we’re going to trust that the forecast holds true and I need to prepare for warm weather. I’m planning on wearing a short sleeved tech tee and my SkirtSports capris. I’m not sure I’ll go with this shirt (Another Medaling Runner), although I do love the color. Picking an outfit is less exciting when it isn’t a Disney race. I’m going with capris over my usual SparkleSkirts because if we’re being totally honest here, the 5-10 pounds I’m up in the last 9ish months has resulted in chafing on a few runs when I’ve tried to wear them lately. SparkleSkirts are normally chafe-proof but since they’re getting a little small I have issues now. It makes me sad because I adore my SparkleSkirts and their fantastic pockets. With the capri length of the SkirtSports bottoms, I don’t have the awkward chub rub and they at least have two pockets on the side legs, so that’s something. I like having the side pockets for Gus and for my phone. I’ll also be carrying my car keys in the pocket attached to my water bottle. – Sweaty bands to control my wild and crazy hair: I am a super sweaty person, so these are very helpful for soaking up the sweat and keeping it out of my eyes! – BodyGlide to keep all of that sweat from resulting in chafing: Long runs are a great time to learn where you need to be liberal with the BodyGlide to avoid chafing. I’ve been having trouble with chafing over my shoulder from the sports bra lately so I need to be sure I’m generous with the BodyGlide Sunday morning. – Sunglasses or a visor: Protect your eyes from the UV rays and be sure that your vision doesn’t get thrown off by the sun glare by wearing sunglasses or a visor or hat. I’m not really a hat girl given how hot my head gets and will likely be going with sunglasses rather than a visor Sunday unless they increase the rain chance. – Sunscreen: As a dark skinned person, I rarely burn and can therefore get really lax about sunscreen. It’s important even for those of us who don’t burn to protect our skin from cancers and wrinkles. I’m not ashamed to admit that at 36, I’m vain enough to be concerned about wrinkles more than anything else. 🙂 Wrong, but true. Whatever it takes to get me to wear sunscreen, right? – Electrolyte replacement: When the weather gets warmer, I sweat buckets and if I’m not careful about my electrolytes, I end up dizzy and with horrible headaches after long runs. I like Nuun because it doesn’t upset my stomach as much as Gatorade or Powerade do on the run (although those are okay afterwards). 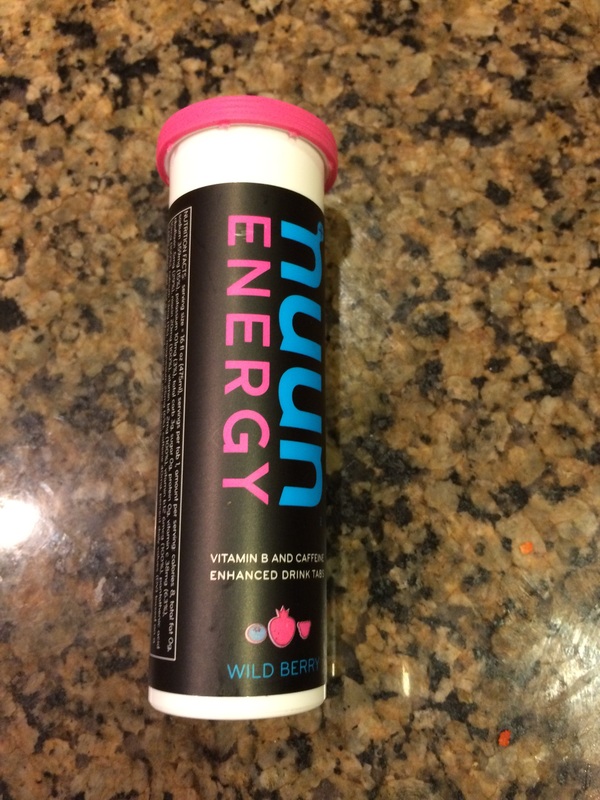 I’ll be drinking Nuun in my water for a couple of days before the race in addition to having it with me in my handheld bottle on the course and in my water bottle in the car for the drive home. 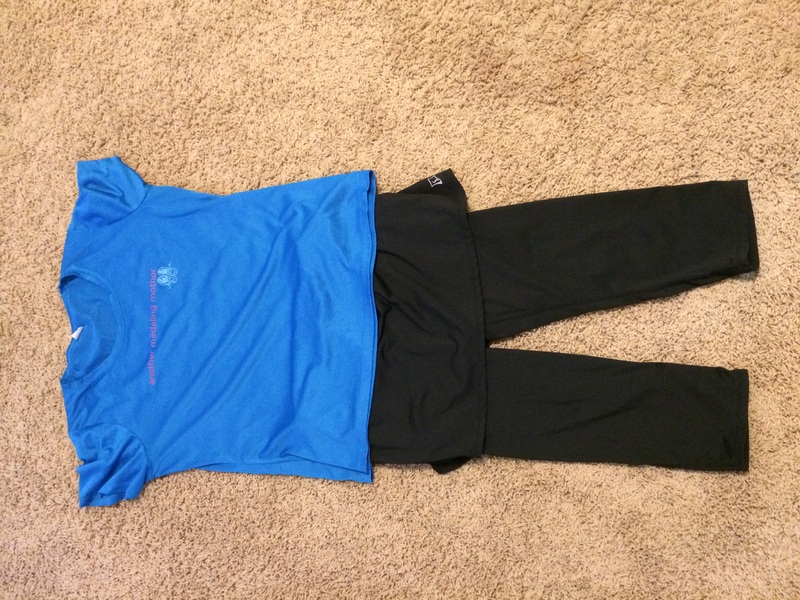 What are your summer running gear must-haves? Weekly Wrap-Up: The final countdown! A week from now I’ll be basking in the glow of finishing my fourth half marathon and admiring new bling. 🙂 No matter the outcome of the Lincoln Half Marathon, I hope I can appreciate the success I’ve had in running over 200 miles this training cycle and in running my fourth half marathon, a feat unimaginable just a few years ago. It’s been quite a week, coming off an exhausting week of call and having visitors from out of town, with a dash of personal upheaval thrown in. I feel a little hung over still from a rough 24 hours of binge-resisting Wednesday and Thursday, which has definitely thrown off my healthy habits a bit. On the plus side, for the first time ever I haven’t totally tossed the taper training plan aside and I actually did the runs. This week is all about getting my mind and body set for the race and tossing off the mental nonsense of the last week. Monday 3.1 miles that started slowly (13-ish pace) and got quicker as I went, my favorite way to start the week. Tuesday I was supposed to do a 2 mile tempo run with a warm up/cool down, but I didn’t make it out of work in time. Instead, I did the easy 3 miles on the schedule for Thursday. Kudos to me for not skipping the run all together! Wednesday Cross-training with a 30 minute walk, which was a much needed distraction from the mental monkeys and binge-urge that I was struggling with. My poor hubby had to listen to me rant and process out loud while I paced our bedroom. Thursday I confess my brain just wasn’t in the right place to do the mental work of that two mile tempo run I was supposed to do today, with the switch of the Tuesday/Thursday workouts. 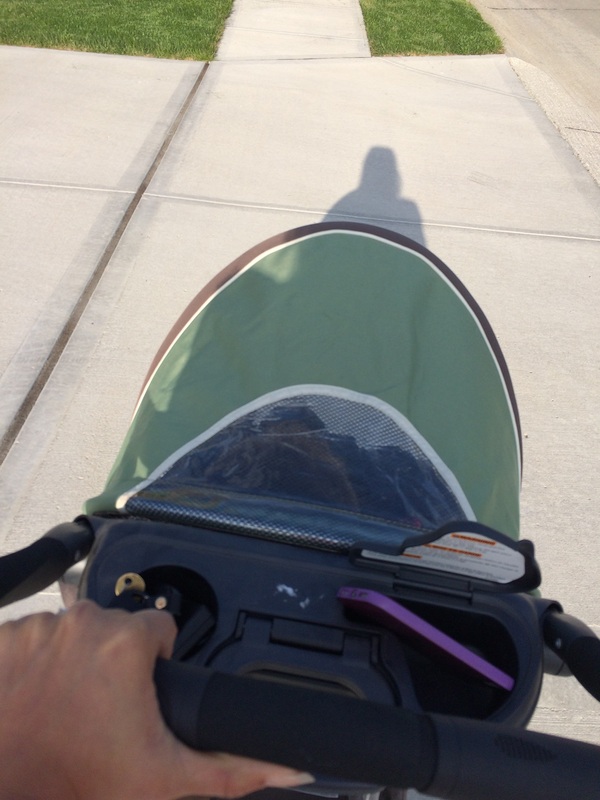 My soul needed a little walk (15 minutes) with Oliver more than anything else, so I gave myself that. This walk, chatting and picking dandelions with O, was definitely what I needed. 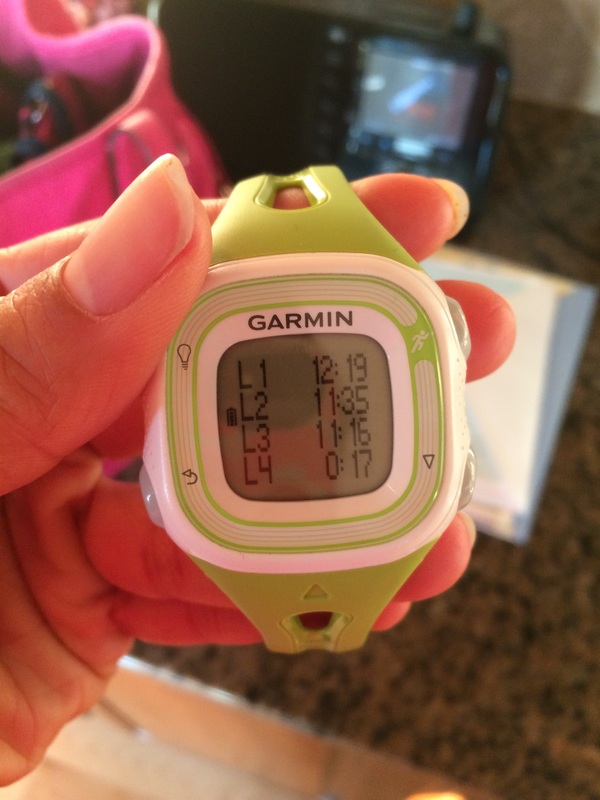 Friday I made myself get that tempo run done that I’d been putting off all week! I did a half mile warm-up, 2 miles at a slower tempo pace (10:54) than I’d been doing previously in deference to how close we were to race day and then a quarter mile cool down. I also walked about 15 minutes after that to get to my happy hour date with Darrell. Saturday 5-6 miles easy was on the schedule and I headed out Saturday afternoon to get those miles in after the morning’s rain settled down. 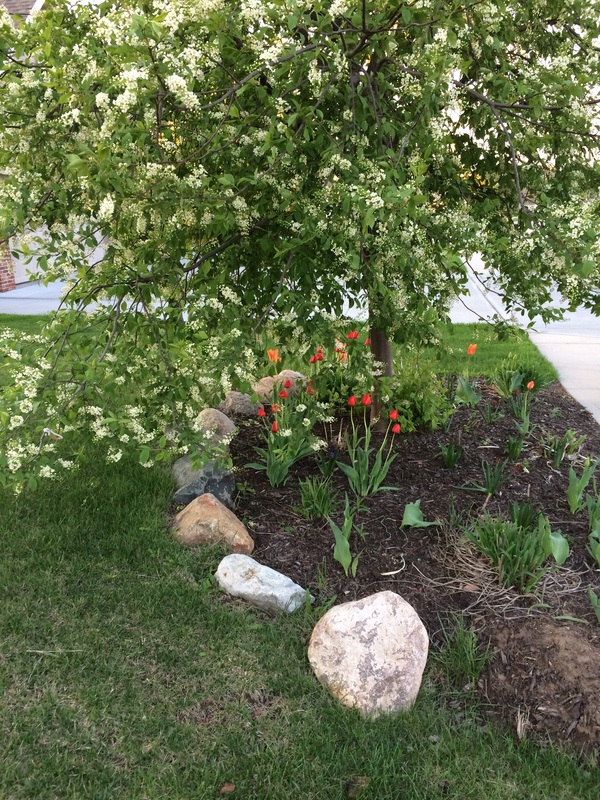 I took it easy and just enjoyed noticing the spring smells and sights along the run, including the smell of freshly cut lumber – a particularly homey smell to me thanks to growing up in a family of chronic remodelers. 🙂 I actually stopped running at 4.97 miles per the Garmin when some neighbors stopped me to see if I knew who owned a lost dog they’d found. We ended up walking another 1/4 to 1/3 of a mile trying to figure out where the sweet girl belonged. I think that’s close enough to 5-6 easy miles and felt like a really nice way to wrap up the week. I also got in lots of yoga stretches post-run, which felt good. I need more of that this week! 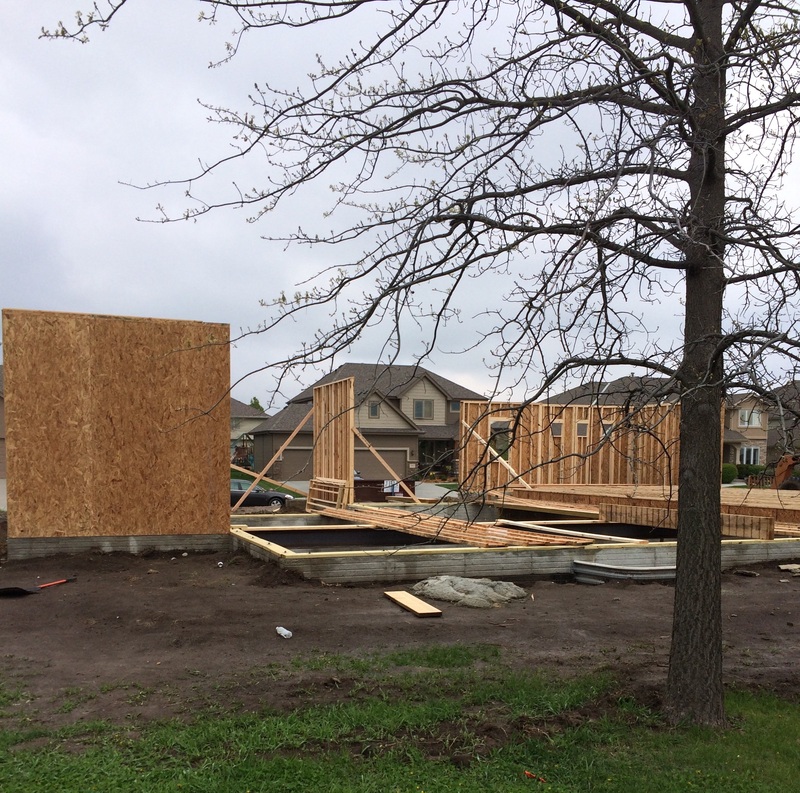 I’m a bit of a freak, I know, but I love the smell of a home site. I confess I’ve never eaten one of these either! 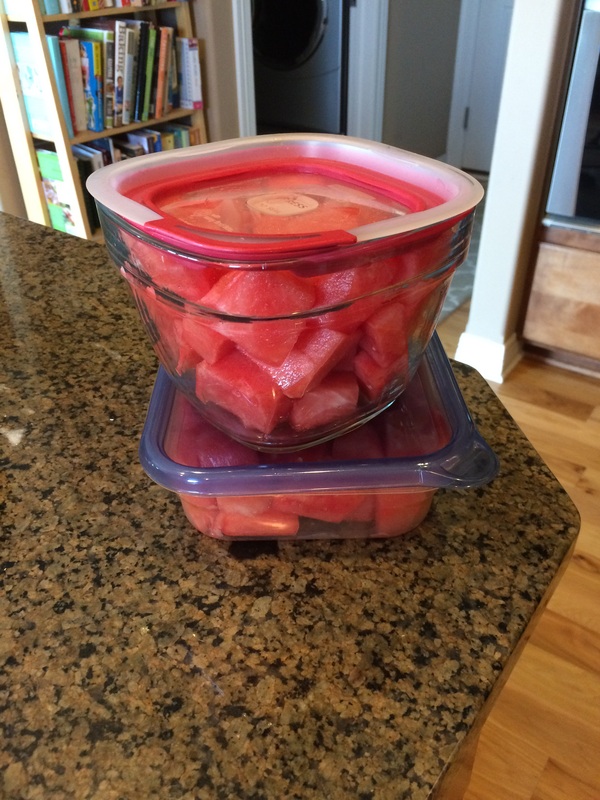 We only ate about a third of the watermelon which was a huge victory! This week, I’ve got a couple of bitty runs on the schedule to keep things loose. No strength training and no serious cross training (thanks to last week’s taper reading!). Lots of fluids and good healthy fueling, with a shift toward a little more carbohydrates and less roughage later in the week. Here’s hoping we all have a good week! I am now officially in the midst of tapering, so naturally I’ve been reading lots about it this week. I feel like I’ve never gotten tapering quite right – I tend to just fall off the wagon completely or get distracted by worries and phantom aches and pains. This week, my Friday Favorites are focused on all I’ve been reading about tapering so that I can remind myself to re-read these things and keep my eye on the ball! 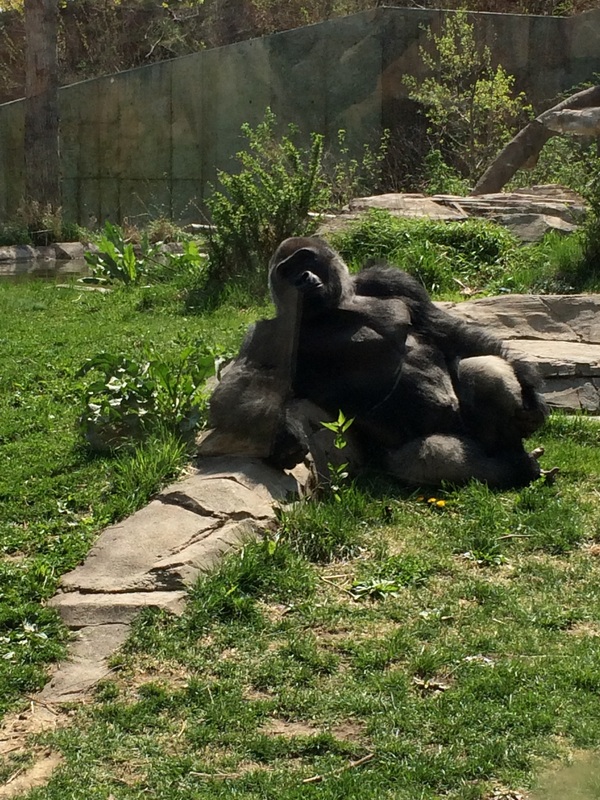 No chilling out like this gorilla we saw at the zoo for me – a smart, not lazy taper is on tap! A perk of starting my taper the week of the Boston marathon was all of the articles in the last few weeks that were targeted at tapering for Boston, not that I’m running Boston of course. 🙂 This one from Women’s Running has some good general principles (and I need to get my list started for race day!). One thing I didn’t really think about with tapering was what I should do with my non-running workouts. In Greg’s round up of tips for tapering, he mentioned the idea of cutting back on strength workouts. I hadn’t considered that before, but it does make some sense. There’s an article here on Runners World that goes through some of the science of how strength training plays into the taper (I love the Sweat Science series!). Apparently, the optimal time to cut back is 8-14 days out from the race, so it looks like I’m off the hook for strength training from now until race day. The tip about strength training is also included in this Runners World article on How to taper correctly, which also discusses cross training and nutrition during taper time. I’m going to have to remind myself frequently that moving less (not moving NONE) is actually good for my race and not to worry about my pants getting tighter – it’s okay to gain a little during this period as I restock glycogen stores. It’s not an excuse to go completely carb-crazy, so I’ll need to review the nutrition tips in Eat to Peak again to be sure I’m optimally prepared for race day. These articles on Zelle about How to Carbo-load the Right Way and from Womens Running on What to eat the week of your marathon also have some great tips to help me make a food plan for next week. This first week of the taper has gone well, overall. I’ve kept moving and done all of the assigned workouts. Unlike previous taper periods, I haven’t let “I’m tapering” be an excuse for skipping any workout I don’t feel like doing. 🙂 I even got a bonus workout in on Tuesday, taking O to the zoo with a friend who’d come into town to visit. 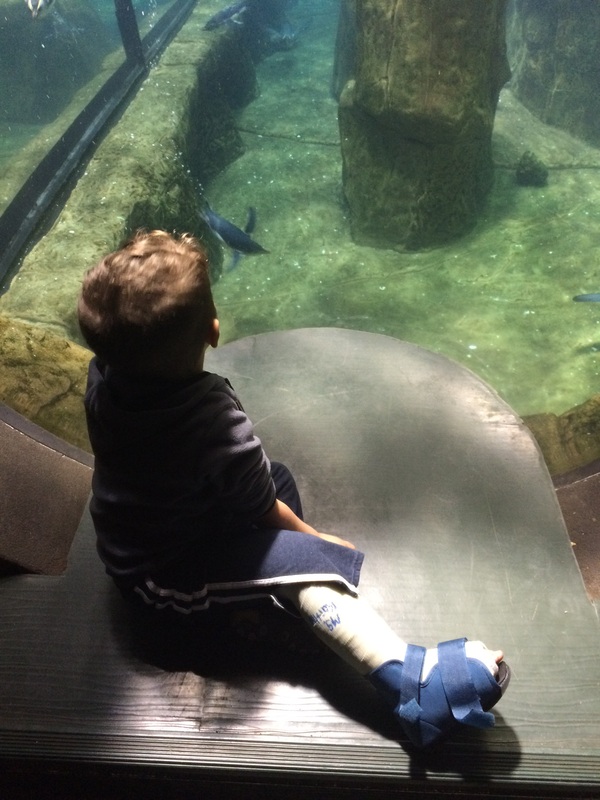 Pushing an almost 40 pound toddler with a cast in a stroller around the hilly Omaha zoo definitely counts as a workout! Thank goodness that was Tuesday with a cross training day Wednesday because my legs were toast. I hope everyone has a great weekend! Happy Friday! This normally a Monday post but we had a busy Monday and I never got around to it. A friend visited with her almost 2 year old daughter and we’ve had quite the adventure. Oliver told his teachers that he was “borrowing a baby sister” this week, which is super cute. I’m glad he likes borrowing them occasionally but we have no plans to add a permanent one for him. 🙂 He’ll have to satisfy himself with lots of visits with little friends. 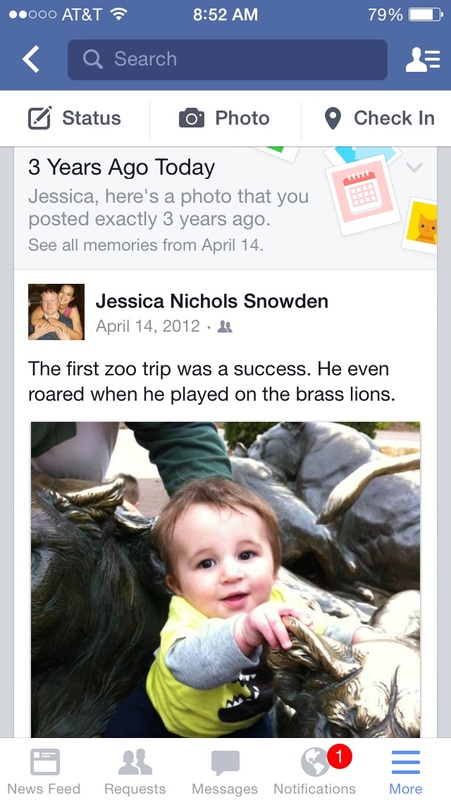 I didn’t want to skip this post completely though because it’s important accountability for me. I am officially tapering! Gotta love the little sigh of relief that comes with that. Of course, that doesn’t mean I get to slack off completely for the next two weeks until race day, but it does mean I won’t be working to find time for a two hour run over the weekend. I was somewhat surprised to see that I have that scary two mile tempo run on the schedule again for this week. 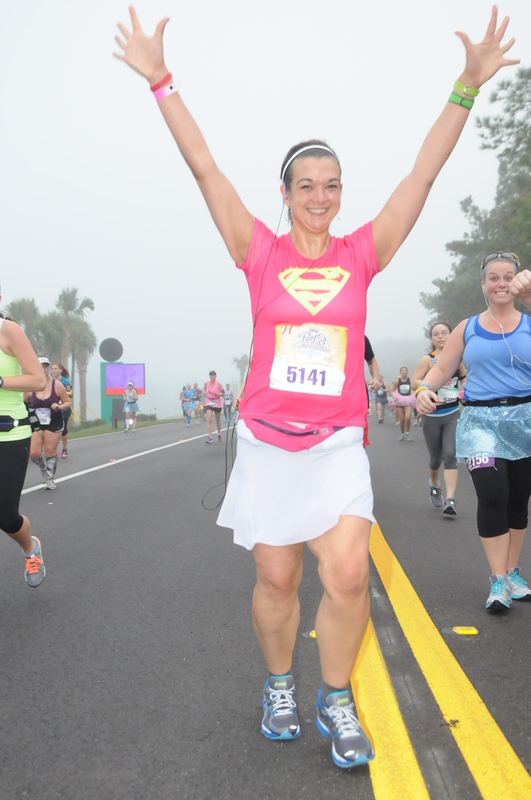 I have to remind myself that I was able to successfully to do this already once, so of course I can do it again, and more importantly – what a great mental boost to have so close to the race in proving to myself yet again that I can do harder things now than I could do before! My NSV for this week is definitely tied to these workouts. For the first time, I had a super busy week on call and yet I managed to get every one of workouts in. You know why? Because I made the effort to wake up at 5 am on days I needed to run to get it done. It’s amazing how readily I can get my workouts done when I do them first thing instead of hoping I get done with work soon enough to do them in the evening. 🙂 I’m proud of myself for not using work as an excuse to slack off during this last tough training week. Monday Easy 3 miles on the schedule and I got in 3.07 miles in 37 minutes. I think waking up at 5 to get this done before work really set this week on the right track mentally! I also got in some strength training with my kettlebell Monday night. Lots of rainy running this week. It makes me feel like those miles should count twice somehow. 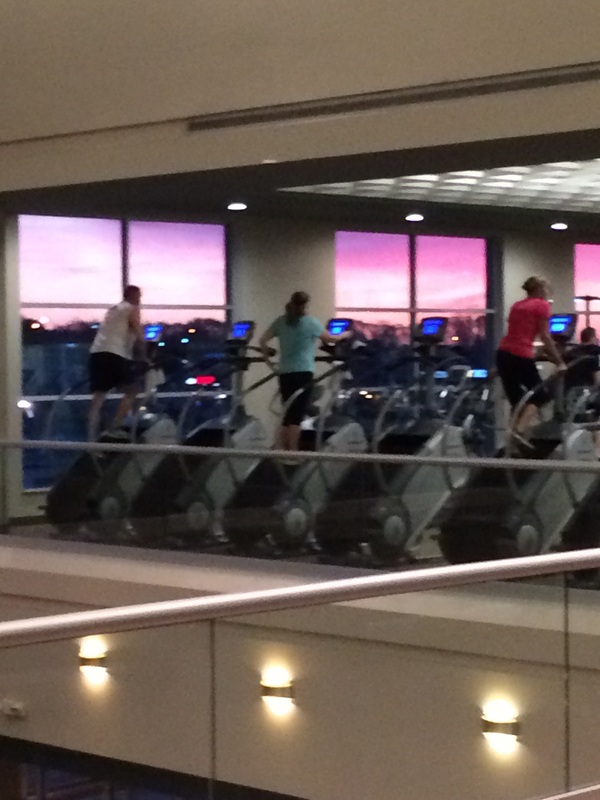 Very cool to see the sun rising outside the gym windows as I finished those two tempo miles! Wednesday Cross training, which was an entirely unmemorable 30 minute walk. Thursday 5-6 miles on the training plan that I divided into two chunks. I did 3.75 miles in the morning, a little slower than usual at 13 minute pace because I was just tired and not feeling it. After work, I did the last 1.3 miles and I’m proud of myself for getting out there even though I was worn out. It was a day I was at work until 7 and I felt totally justified in skipping those extra minutes. I’m proud of myself for reminding myself it was only a few minutes and getting out there anyway. That second chunk of 1.31 miles was speedier (11:28 pace) because I wanted to get home and get done for the day! Friday Easy 2-3 miles or cross training and I did 2.04 in the morning at 12:45 pace. Saturday I was worried about fitting in this run, since it required no one needing to call me for a two hour chunk. I’ve never attempted a long run on call before. I got up super early and got it done, reasoning that if I was running before most of the state was awake the odds of getting called were lower and it worked. 🙂 I was supposed to do 9-10 miles with the last mile as a strong finish (a switch of the last two long run in the training plan, since I did the 11-13 miles last weekend). I did 9.2 miles, with the last mile-plus at 11:11 pace. I really love the mental boost I get from that “last mile strong finish” workout! 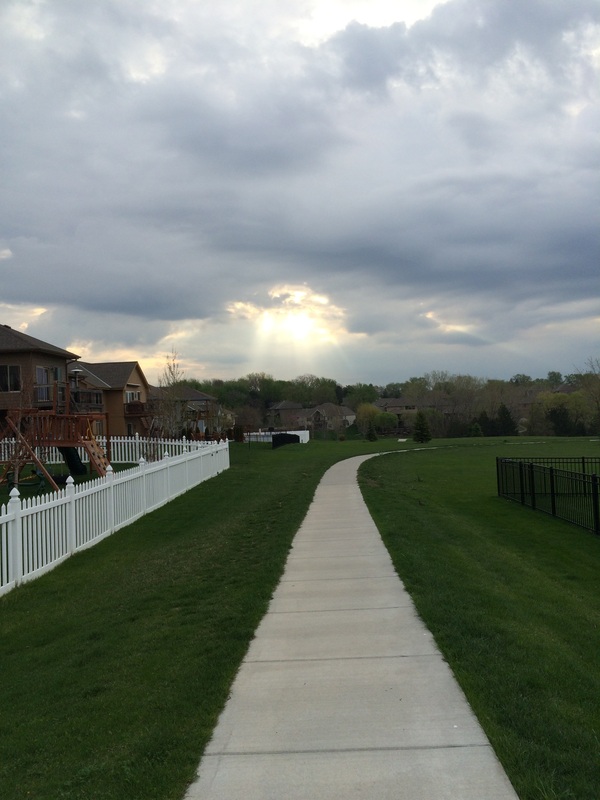 The sun breaking through the clouds was just such a great visual to finish this run with (and motivation to haul it back home before the rain started!). Sunday I rested, with some yoga stretches and wall sits and calf raises. I got lots of steps for a rest day, but it was a good day overall. I remain amazed at how good after a longer run these days. I used to feel anything over 8 miles for days afterwards! 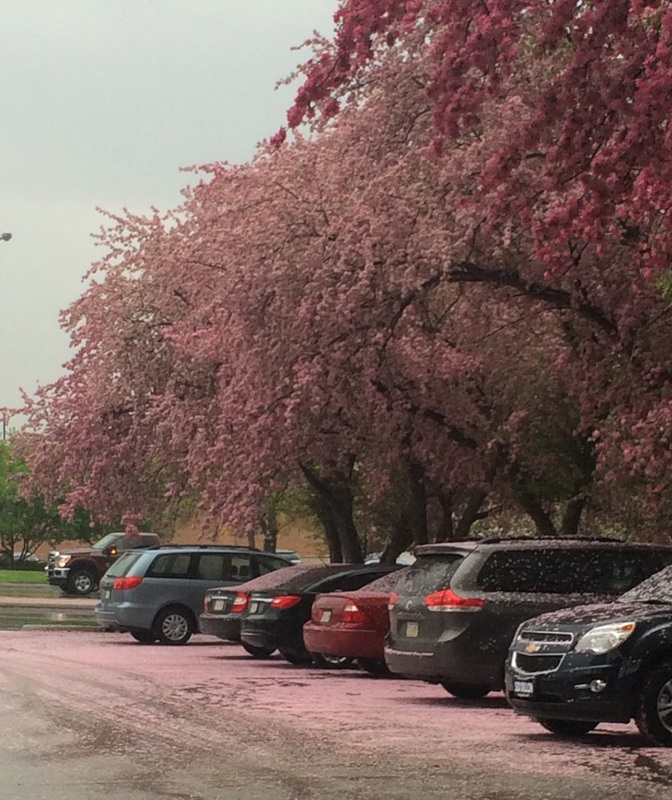 We have the lovely snow of blooms from the trees now – much better than the actual snow we had just a week or two ago! My good deed this week was entertaining my friend’s 2 year old while she shopped for some clothes during our trip. I know how hard it is to get time to actually think about the clothes you’re trying to buy when you have a toddler along. 🙂 This week I’m grateful for our insurance. O continued his streak of misadventures by coming down with an ear infection over the weekend so we were in urgent care Saturday night. Sigh. Thank goodness for Blue Cross since we were back in a doctors office before we’ve even gotten the bill for the ER visit and casting. Once the rain finally stopped we got a big burst of tulips and green grass – it really feels like spring now! I’m excited that I’m less than 10 days from the Lincoln Half Marathon. I’ve heard such good things about it. It’ll be interesting to see if it lives up to the hype! Now it’s time to focus on tapering, fueling and getting my mind in gear. 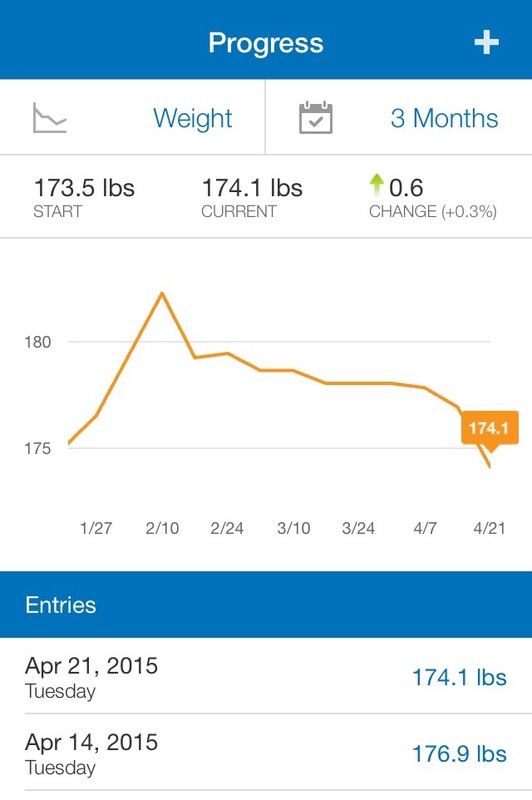 Weight Loss Wednesday: Plateau survived! I double checked it because I couldn’t quite believe it! Any of you who have tried to lose weight know how much of a sigh of relief it can be to finally see movement in the right direction. I’m now almost back to pre-Disneyland/pre-Disney cruise territory, happily. It took a really long time to get back that down that hill, but at least I’m getting there now! 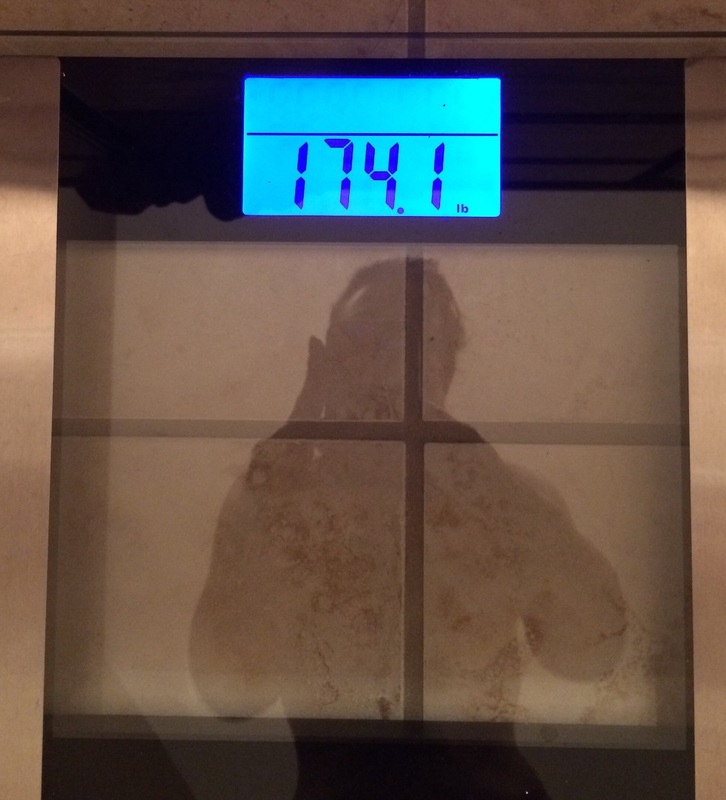 I’ve done this long enough to know that I’ll likely have a gain next week just to keep me from getting TOO excited about a 2+ pound loss, but hopefully it won’t be too bad (and hopefully I remember that I know it is coming). – First, know that this is normal and expected. The calorie math doesn’t always work the way it is supposed and you may not see the results your calorie fitness and trackers set you up to expect. It’s okay. Everyone goes through this. We have to be patient. – Next, be sure you really are doing everything “right.” This is not to say that there is a “right” way to do this, but you might want to look and see if you’re measuring and tracking things accurately or working out at the intensity you’re giving yourself credit for or anywhere else things may be slipping enough to throw things off. Being honest with yourself is key. – Think about changing things up a bit. This can be a different kind of workout or different foods. For me, I cut back on my nighttime snack in the last couple of weeks, even if it meant leaving extra calories on the table. I was eating a ton of food (and more carbs than I know my blood sugar likes overnight) right before going to sleep because I had the calories available. Now I try to eat those calories earlier in the day and have just my greek yogurt before bed. I also dropped my calorie target in MyFitnessPal by 100 calories to 1800 calories a day, which I can still eat and feel satisfied (remember, don’t do anything you aren’t willing to do long term!). One factor in a plateau may be your calorie intake, as the metabolic needs we have and the calorie burn we generate with weight loss before the plateau may have significantly changed your calorie needs for the day. – Keep the big picture in mind. I’ve lost 100 pounds. If it takes me 6 months to lose the 10 pounds I gained between Disneyland and the cruise, that’s okay because in the grand scheme of things, I’m doing pretty good. If you get to the point you’ve plateaued, that means a) you were losing – good for you! and b) now you’re maintaining, not regaining – also a good thing! – Remind yourself that you can only control the inputs, not the output. I can’t control the number of the scale because countless things go into that. I can control what I eat and how much I move and those things are good for me, no matter how flat that weight loss curve might look. For now, I’ll celebrate my loss mentally (not with cake like the old days) and keep up my healthy habits. I’m reminding myself that next week will likely not be as kind on the scale because a) a little rebound after a big loss seems cosmically inevitable and b) I’m in the first week taper now, with less running and more focus on hydration and food to get in optimal shape for the Lincoln Half Marathon, so some gain was going to happen anyway. It’s all okay. How do you handle plateaus in your weight loss? 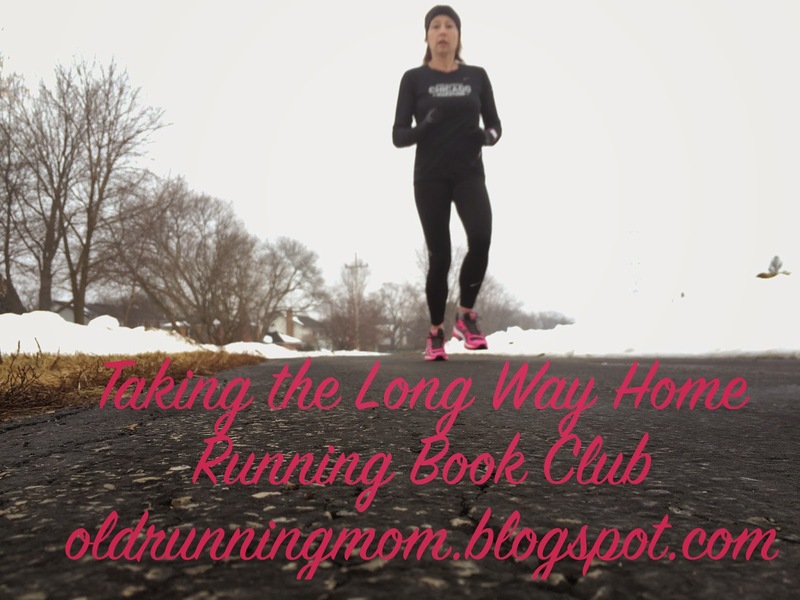 This is the second month of the Taking the Long Way Home Running Book Club. Thanks to Wendy for hosting! Be sure to check out her link up for other thoughts on this book and others. For runners in April, this month’s book is absolutely perfect. 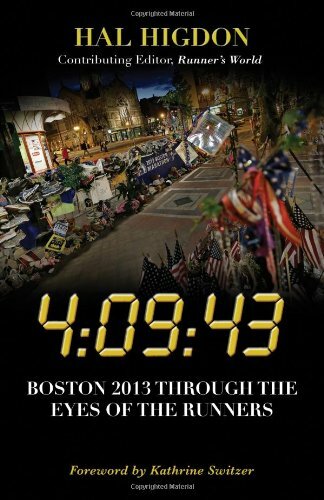 4:09:43 Boston 2013 Through the Eyes of the Runners is a new book by Hal Higdon of Runners World. The day of the Boston Marathon in 2013 is never far from the minds of many runners and has certainly been on all of our minds this month, with the conclusion of the trial and next week’s upcoming race. I can still remember finding out about the attack when I was working in the Children’s Hospital and realizing in that moment that I considered those runners and those spectators part of my tribe. Hundreds of miles away, I still felt affected and shaken, as I think many of us did. Last year, I was teary watching the finish and realizing again how amazing the running community is. I confess to a little trepidation at reading this book. I wasn’t sure I was ready to really delve into the horror of that day, which I know is a little cowardly of me. Surprisingly, that isn’t what this book is about. This book is largely about the stories of all of the other runners and volunteers and race workers present that day, which I love for so many reasons. We haven’t heard many of these stories and yet these people were just as affected emotionally and psychologically as so many of the others we’ve seen in the news and in photos. Higdon’s use of direct quotes from the runners is amazingly effective and powerful in reflecting this range of emotion that day. Higdon does a wonderful job of weaving together the stories of so many people from various social media sources to take us from the beginning on the race through the attack and beyond. While I found myself constantly bracing mentally for the moment of the attack in the story, that doesn’t come until 60% of the way through the book (thanks to the Kindle for that statistic). I loved reading about the race from so many different perspectives and getting caught up in the magic of race day both because I personally enjoyed reading it and experiencing it vicariously (because honestly, odds are low I’ll ever run Boston) but also, because it so important that we hold on to the wonder and magic of this race and not let the terror attacks take that away. Thanks so much to Hal Higdon for presenting this and helping to preserve some of that wonder. I never thought of it this way before, but this is very true. Of course, eventually the attack must be addressed and I was struck by the real sense of confusion and chaos for those just outside the immediate blast area. I was also struck by the stories of the Boston locals and spectators reaching out to shelter and aid those fleeing the attack area. The best parts of humanity can be seen in times of great stress as well as the worst and I was inspired to be reminded of that. 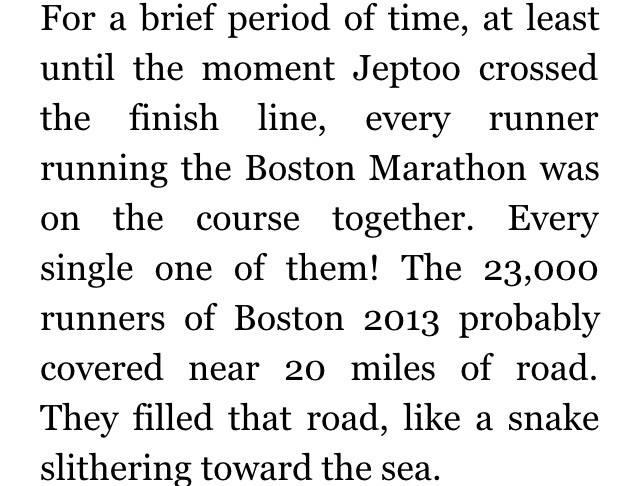 This is a very quick read and a great insight into not just the Boston Marathon in 2013, but this historic race in general. It’s definitely worth checking out this month as we celebrate one of running’s flagship events. Be sure to check out Wendy’s interview with the author, Hal Higdon, here. It’s interesting both in terms of the learning how the book came together and his thoughts on it, as well as his thoughts on his running career in general. Will you be running Monday in Boston or elsewhere? Who already has plans to watch the finish wherever they are?